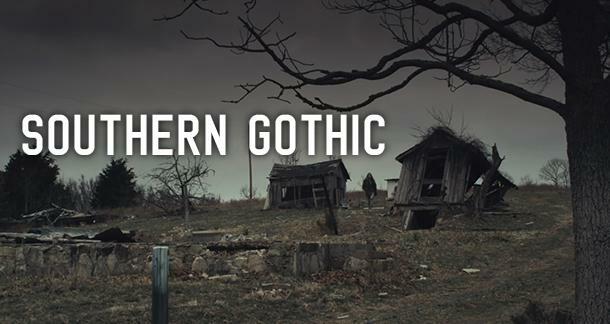 Southern Gothic: A literary genre that trades the staple cold, empty castles for derelict plantations and the dusty small towns of the American South; virginal brides and lords for fading aristocracy and broken people. It's a kind of deconstruction of the old antebellum South, a peek behind the curtain of proper southern gentlemen and ladies. It trades out Gothic Fiction's supernatural elements for a touch of magic realism and a fixation with the grotesque. The South's history of slavery and racism looms over the proceedings. While I respect that some aren't fans of genres and subgenres when it comes to literature (and Southern Gothic was sometimes used as a pejorative at the time of its birth), I do find it useful, if not to categorize, as a way to find connections between authors and works, as a way of understanding a time and place. Thus, I will be focusing mostly on authors who were contemporaries with William Faulkner, arguably the father of the genre. There have been other writers and books since that could fit the Southern Gothic label and I'll include some of them, but it's worth tracking down the originals, in my opinion. You can get an easy introduction to her work by reading what is perhaps her most famous short story, "A Good Man is Hard to Find," which is available online for free. She's mostly known for her short form work, such as the aforementioned Good Man, and "Everything That Rises Must Converge." Wise Blood deal with religion (O'Connor was deeply religious) and is also batshit insane. It deals with a man trying desperately to lose his faith in God by committing vile acts, but constantly failing. There's a lot more humor here than you would expect, but it's dark, oh so dark. I recommend her short work over her novels; there are some great stories among them. William Faulkner needs no introduction. 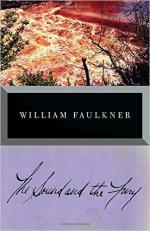 Awarded the Nobel Prize in Literature at age 52, Faulkner wrote 19 novels and some 125 short stories in his lifetime. Both As I Lay Dying and The Sound and the Fury are excellent starting points for Faulkner and Southern Gothic in general. Faulkner set most of his work in the fictional Yoknapatawpha County, a mirror version of Lafayette County, Mississippi. Often experimental, his writing dealt with Southern Gothic's usual obsessions: Southern aristocrats in decline, severely dysfunctional families and death. As I Lay Dying, for example, deals with a family trying to honor the matriarch's wish to be buried in her hometown. The novel narrates their trip with the non-embalmed, rotting corpse and what befalls them as they attempt this quest. Similarly, The Sound and the Fury is about the decline and dissolution of a once-proud family that loses everything over the course of thirty-some years, including many of its members, under tragic circumstances. 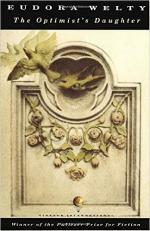 You should also check out Sanctuary, which is perhaps the quintessential Southern Gothic novel. Famously rejecting the Southern Gothic label saying, ''They better not call me that! ", I fear I must still include Eudora Welty on this list. The Robber Bridegroom, her first novella, is a retelling of a Brothers Grimm tale, set in a Southern setting. It's a quick and fun read and a good introduction to her work. 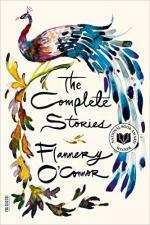 Her most famous novel is of course, The Optometrist's Daughter, winner of the Pulitzer prize. While not a definitive entry into the genre, it shouldn't be missed. Personally, I'm more partial to her short stories. A Curtain of Green was her first short story collection and contains possibly her best work. Check out "Worn Path" and "Why I Live at the P.O." at the very least. 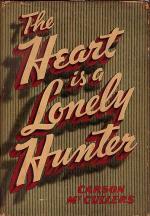 The Heart is a Lonely Hunter is a bona fide classic, dealing with the isolation of the human condition, especially in the rejected and the outcasts of society, such as the protagonist, John Singer, a deaf mute. A novel mostly looking inward, rather than outward, it is exceptionally unique; nobody else could have written this. Before you accuse me of platitudes, pick this one up and give it a read. Her other works include Reflections in a Golden Eye, The Member of the Wedding and Clock Without Hands. Some have been adapted for the stage and film. 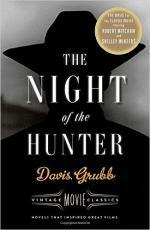 Grubb pretty much knocked it out of the park with his first novel, Night of the Hunter. An instant bestseller and finalist for the National Book Award, you might be more familiar with the movie adaptation, starring Robert Mitchum (or maybe that's just me). It's a gorgeous film that you should rent immediately if you haven't had the pleasure of seeing it before. 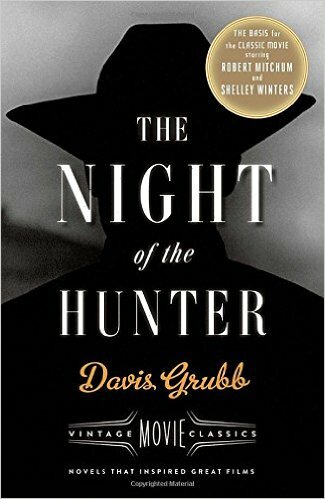 Night of the Hunter is loosely based on the true crime story of Harry Powers (Harry Powell in the book), an ex-con who tricks his dead cellmate's widow into marrying him, in the hopes of getting her or her children to reveal the location of hidden money from the man's last robbery. He wrote nine more novels, including Fools Parade, Shadow of My Brother and Ancient Lights (released posthumously). Notable mentions and later authors: Truman Capote, Cormac McCarthy, Barry Hannah, Harper Lee, Tennessee Williams and Harry Crews. A couple of writers come to mind when I think of Southern Gothic writing today. The NYT called Sheri Holman's Witches on the Road Tonight Appalachian Gothic. Although not technically Southern Gothic, Elise Blackwell's The Unnatural History of Cypress Parish and The Lower Quarter are novels that explore the repeated destruction and rebuilding of the South while the South remains itself, still haunted by its past. Lacking the magic realism or explicit grotesquerie of Southern Gothic literature, Blackwell's words, writing style, and subject matter ephemerally invoke those qualities for me.